My presentation includes the conclusion of this spectacular mission to Comet 67P – Churyumov-Gerasimenko, right down to its final image before it “crash” landed on the comet’s nucleus, plus some of the latest findings and images that have recently been published. 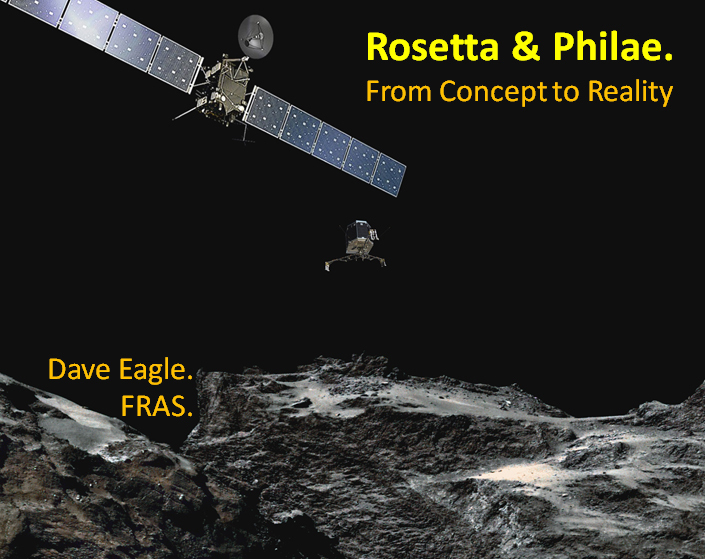 Courtesy of Dr Colin Snodgrass from the Open University, there is a chance for the audience to sniff Comet 67P. I will be collecting opinions on what they think it smells like. Thanks to a 3D printed model, they can also get a really good feel for what the comet looks like. I’m really looking forward to catching up with this friendly group again.